What is the goal of your discipline? Do you catch this? God’s discipline is not intended to have immediate results, and those results are not about right behavior but about God’s righteousness and peace. 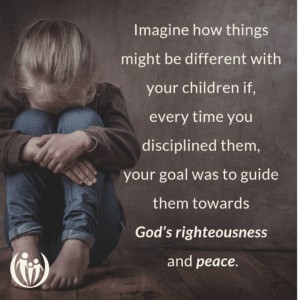 Imagine how things might be different with your children if, every time you disciplined them, your goal was to guide them towards God’s righteousness and peace. We hear many parents disciplining or instructing their children this way. While this sort of intervention might help modify children’s behavior in the short run, it does not consider the bigger picture and misses the opportunity to paint an image of God’s purposes for the long run. In order to speak this way with sincerity it has to come from your heart. This means letting go of the conventional expectation that kids obey immediately. It means taking on the role of a coach rather than a drill sergeant. It also means not letting your kids off the hook when it seems too hard or overwhelming. It’s hard to remember this truth when our children misbehave. But if we can consistently address discipline with grace and wisdom, with a vision for their lives, their hearts are more inclined to repent and they are more likely to grow into a love for God’s righteousness and peace. Our work as parents is not about learning the right “scripts” to address misbehavior. 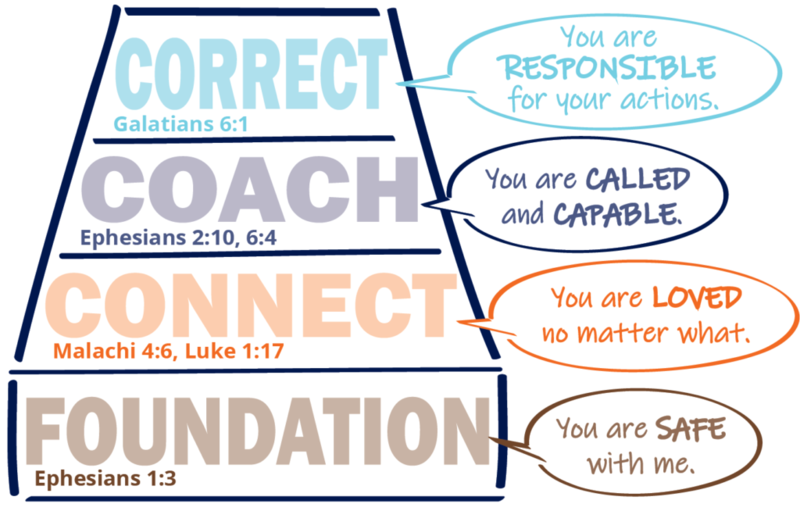 It is about relentlessly nurturing a vision for God’s purposes in our children and believing that even when our kids misbehave we have opportunities to point them to God. This sort of parenting leads to a harvest of righteousness and peace in our kids. Want to learn more about these concepts? Download our one hour recording of a Discipline That Connects workshop. Check your inbox! You'll soon receive an email with a link to the audio download.